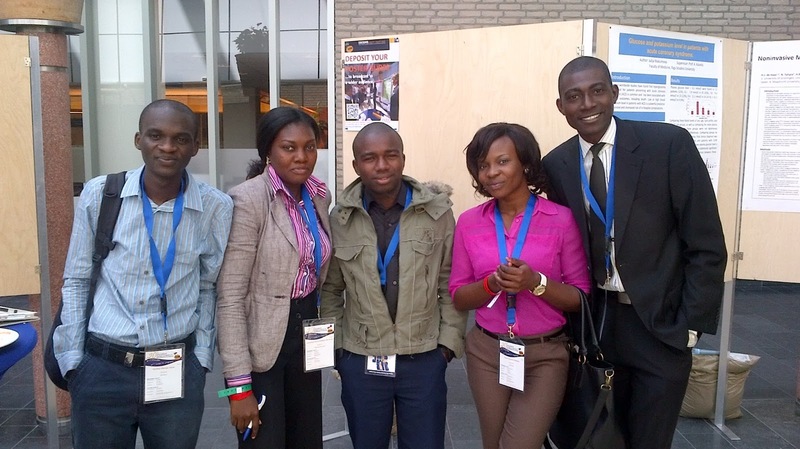 The Nigeria Diabetes Online Community: HEALTHY HABITS TURNED LIFESTYLE: LESSONS TO BE LEARNT FROM GRONINGEN, THE NETHERLANDS. HEALTHY HABITS TURNED LIFESTYLE: LESSONS TO BE LEARNT FROM GRONINGEN, THE NETHERLANDS. With a population of around 190,000, it is the largest city in the north of the Netherlands. An ancient city, Groningen was the regional power of the northern Netherlands, a semi-independent city-state and member of the German Hanseatic League. Groningen is a university city: the University of Groningen and Hanze University of Applied Sciences each have about 25,000 students. With a background knowledge of Diabetes mellitus, or simply diabetes, being a group of metabolic diseases in which a person has high blood sugar, either because the pancreas does not produce enough insulin, or because cells do not respond to the insulin that is produced. 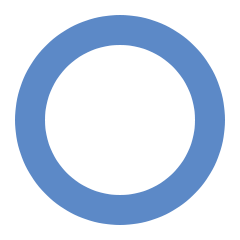 There are 3 main classifications of Diabetes Mellitus but for the purpose of this article we would major on Type 2 DM which makes up about 90% of cases of diabetes with the other 10% due primarily to diabetes mellitus type 1 and gestational diabetes. Obesity is thought to be the primary cause of type 2 diabetes in people who are genetically predisposed to the disease. 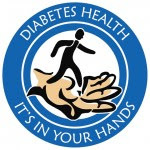 Type 2 diabetes is initially managed by increasing exercise and dietary modification. Rates of type 2 diabetes have increased markedly over the last 50 years in parallel with obesity: As of 2010 there are approximately 285 million people with the disease compared to around 30 million in 1985. But a proper diet and exercise are the foundations of diabetic care, with a greater amount of exercise yielding better results. A diabetic diet that promotes weight loss is important. Aerobic exercise leads to a decrease in HbA1c and improved insulin sensitivity. Resistance training is also useful and the combination of both types of exercise may be most effective. Culturally appropriate education may help people with type 2 diabetes control their blood sugar levels, and also prevent type 2 diabetes. 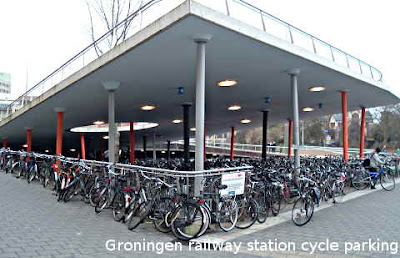 Groningen has been called the "World Cycling City", since 57% of journeys within the city are made by bicycle. The city is very much adapted to the wishes of those who want to get around without a car, as it has an extensive network of segregated cycle-paths, good public transport, and a large pedestrianized zone in the city centre. The transformation of the historic centre into a pedestrian priority zone enables and invites walking and biking by making these active modes of transport comfortable, safe and enjoyable. These attributes are accomplished by applying the principle of "filtered permeability". It means that the network configuration favours active transportation and selectively, “filters out” the car by reducing the number of streets that run through the centre. 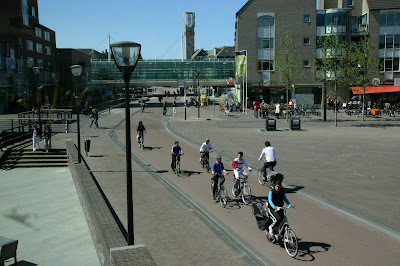 While certain streets are discontinuous for cars, they connect to a network of pedestrian and bike paths which permeate the entire centre. In addition, these paths go through public squares and open spaces increasing the enjoyment of the trip. The logic of filtering a mode of transport is fully expressed in a comprehensive model for laying out neighbourhoods and districts – the Fused Grid. In the Italian TV programme of investigative journalism "Report" appeared a short film, considering the use of bikes in Groningen a good practice to emulate in Italy. 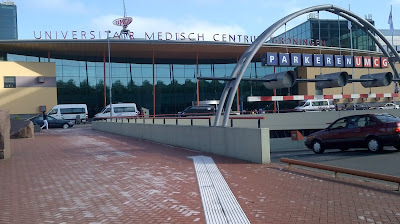 My experience at The International Student Congress of (bio)medical sciences in Groningen is a typical example of a healthy habit turned Lifestyle, I was thrilled by the fact that a city can turn cycling a good means of daily exercise into a lifestyle and I was thrilled seeing kids cycling around. I believe other countries like Nigeria can emulate this great healthy habit, the hot West African weather might not allow for cycling all day long but evenings are great time to cycle. So in the future, road constructions should have bicycle lanes; there should be subsidized rates on bicycles and importation of bicycles to Nigeria must be encouraged. All these efforts will go a long way in creating healthy lifestyles for Nigerians thereby preventing and managing type 2 diabetes among Nigerians. Also I will suggest the Nigerian Government should encourage student research exchanges through adequate funding and motivation as this is instrumental to economic and academic development, as this exposure is one not easily forgotten.